PIX11 Morning News: PIX Financial Fix: How would you like your student loan debt forgiven? Time Warner Cable News’ Tara Lynn Wagner looks at when you might want to start working with a financial professional and how to go about choosing one in this Money Matters report. Wondering whether you should be working with Certified Financial Planner? Look at this way. It’s not about how much money you have but rather how you feel about your finances says Cary Carbonaro. Financial planner and author of “The Money Queen’s Guide” Cary Carbonaro has steps to help you break away from debt. 1. If you already are in debt, make a plan and goal to pay if off aggressively. For example if you owe 2,000 and can save $150 a month have that go towards the card and it will be paid off in just over 1 year. 2. Know what is coming in and going out every month. Use your smart phone, computer or paper and a pen to track every week. This is step 1 and you can’t achieve financial freedom without it. 3. Don’t use those credit cards if you can’t pay them off in full when the bill arrives, use your debit card or cash instead. Memorial Day is here and deals and discounts are everywhere. But not all of them will save you big bucks. Cary Carbonaro, author of “The Money Queens Guide” stopped by PIX11 News to help us tell the difference between the deals from the duds. Paying for college can be a daunting task for students and parents. Students can borrow and not have to pay back until they graduate. Parents have to start paying right away. Cary Carbonaro, author of the Money Queens Guide, shared options to help parents pay for their child’s college education. Everyone is looking to stretch their paycheck. It never seems to go far enough. 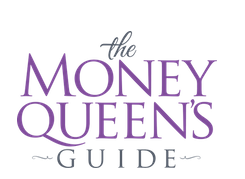 Author of “The Money Queens’s Guide” Cary Carbonaro has a few suggestions to make your money go even further. At the core of your financial world is a number that determines your financial trustworthiness. So just when you think you’re done with studying, exams, and worrying about your grades, guess what? You now have another, much more important number to study for the rest of your life — your credit score. It is literally the backbone of everything that happens moving forward. Cary Carbonaro, author of “The Money Queen’s Guide,” provided information on how to understand your credit and steps to improve it.